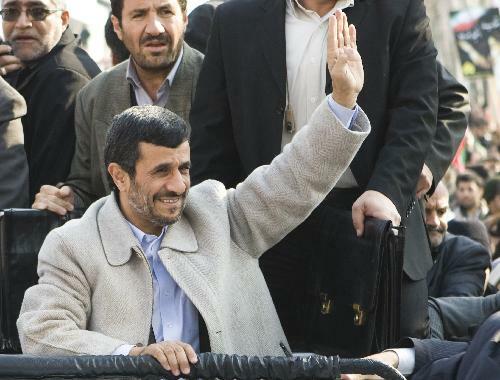 Last June, Iranian President Mahmoud Ahmadinejad proclaimed a "landslide" victory election triggering months of upheaval. Tehran and other cities have seen the largest street protests and rioting since the 1979 Iranian Revolution by supporters of reform candidates alleging voter fraud. For the past several weeks, Iranian opposition groups and various media outlets have been predicting a repeat of this past summer's events during the 31st anniversary of the Islamic Revolution. The anniversary is the most important day in Iran's political calendar. But as Iranian state-controlled television beamed images of rallies supporting the regime in different cities, several Western and Arab television networks were reporting clashes between protesters and security forces in Tehran, Mashhad, Esfahan, Ahvaz, Shiraz and Tabriz. Opposition news websites alleged that security forces opened fire on anti-government demonstrators north of Revolution Square in Tehran, killing at least one person. A video posted on YouTube showing an Iranian security official pummeling an unarmed demonstrator was rebroadcast on several media outlets without confirming whether the video was shot recently or during the June events. News quickly spread on Twitter that "opposition leader Mehdi Karroubi was attacked by security forces as he neared the main route of the march in Tehran." This was tweeted and retweeted hundreds of times. "His youngest son, Ali, was arrested," another tweet followed. If one followed the "hashtag" (#IranElection) on Twitter on Thursday, he or she would have had the impression that the "Velvet Revolution" was rekindled. Although this was the wishful thinking of many, it was far from the truth. What went wrong? Despite weeks of calls to action, the opposition movement failed to derail the holiday's agenda set by supporters of supreme leader Ayatollah Ali Khamenei and President Mahmoud Ahmadinejad. The Iranian government had spent weeks co-opting the opposition plans. Dozens of activists and journalists were arrested, along with individuals suspected of using social networking websites to encourage protests against the regime. Following in the footsteps of China, Google and other internet service providers had been blocked in Iran. SMS messages were interrupted, and internet communication was brought to a halt. Three major international broadcasters operating in the region, the BBC, Deutsche Welle and Voice of America, have recently accused the Iranian regime of "deliberate electronic interference" in their broadcasts. It seems that the balance in the Iranian uprising is shifting in the regime's favor. This time Ahmadinejad was prepared... he succeeded in "unplugging" the opposition.